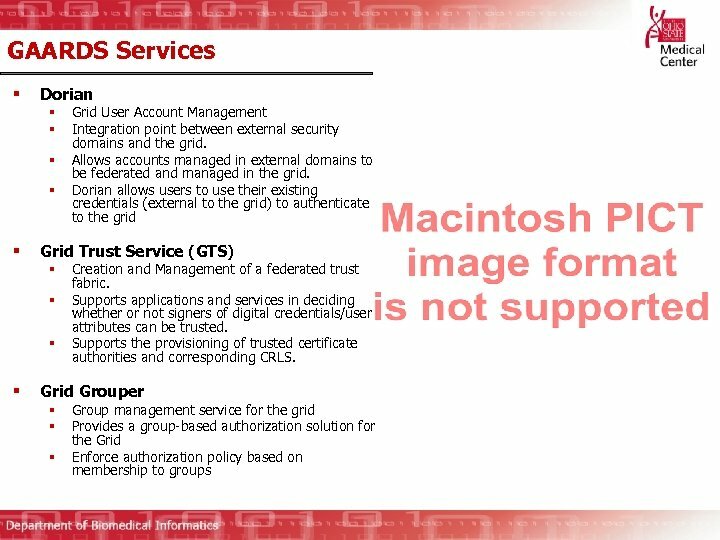 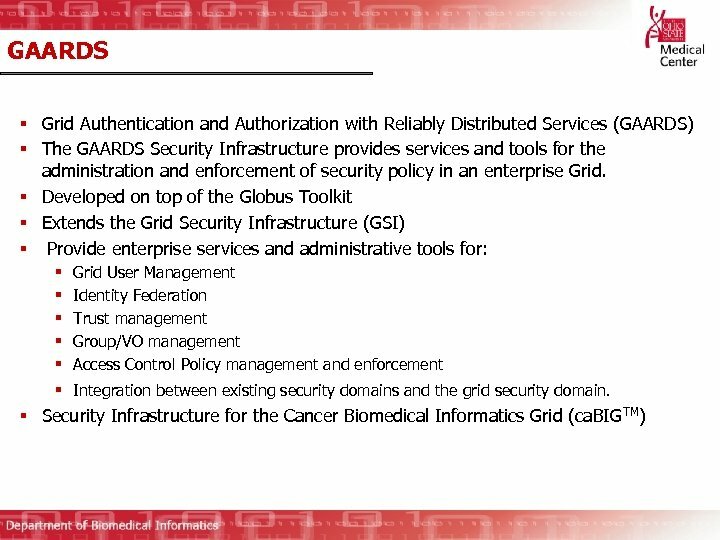 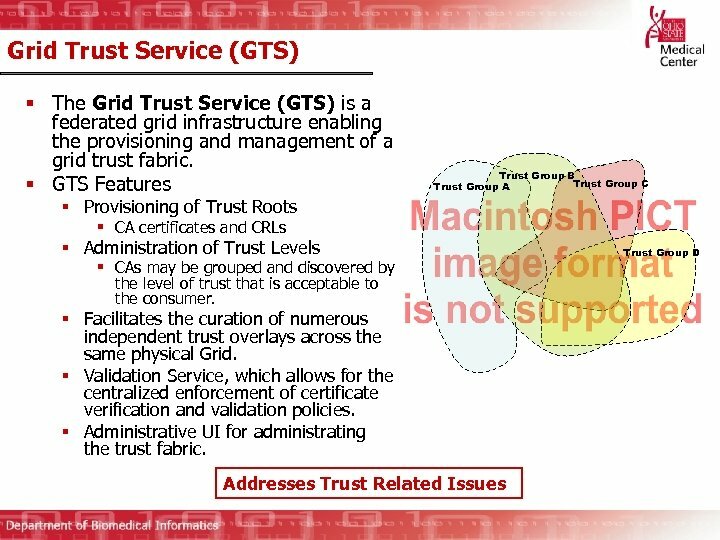 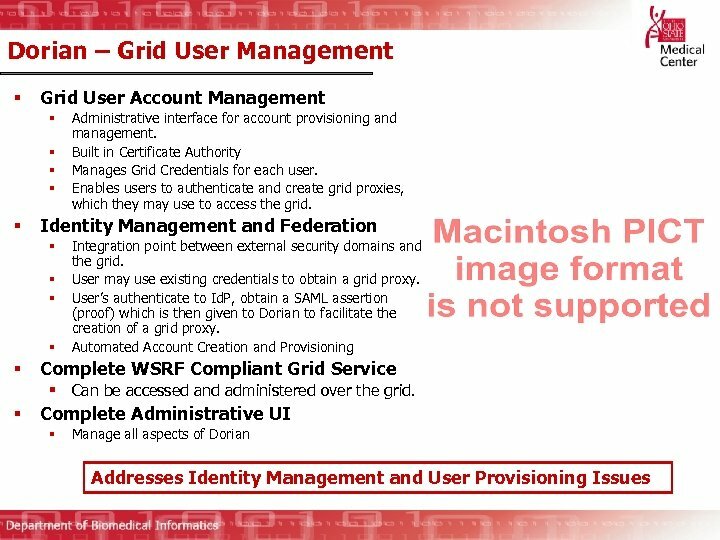 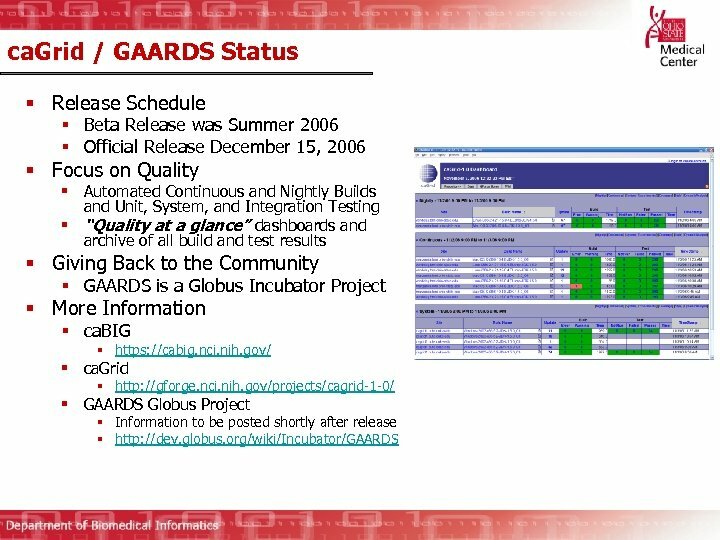 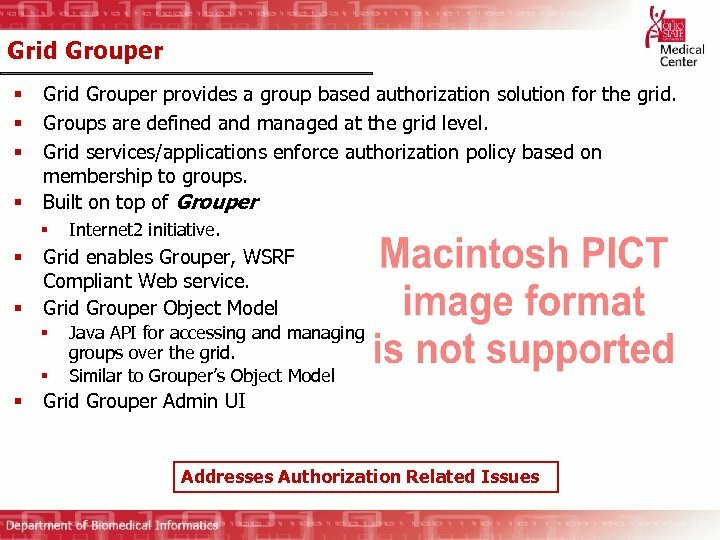 VO Related Security Issues § Authorization § How do we create, manage, and provision groups of users/services at the grid level, such that we can build access control policy based on group membership? 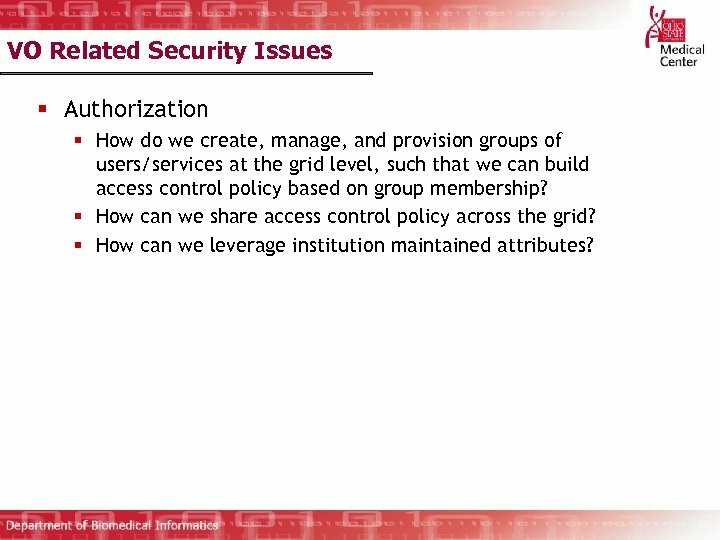 § How can we share access control policy across the grid? 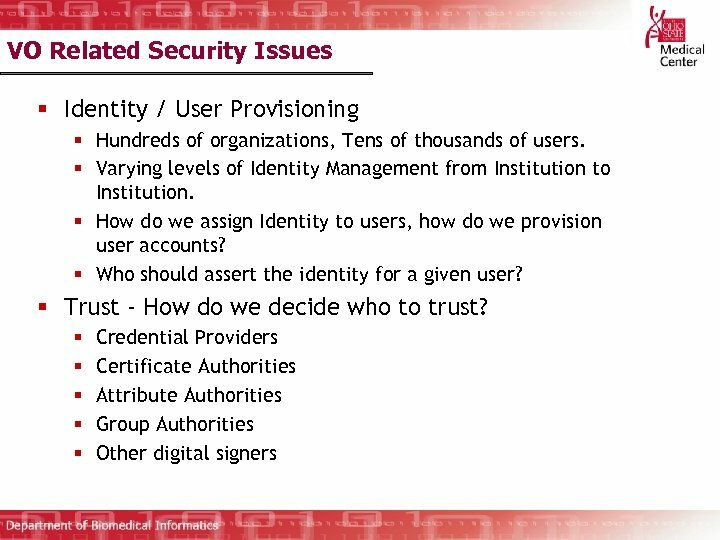 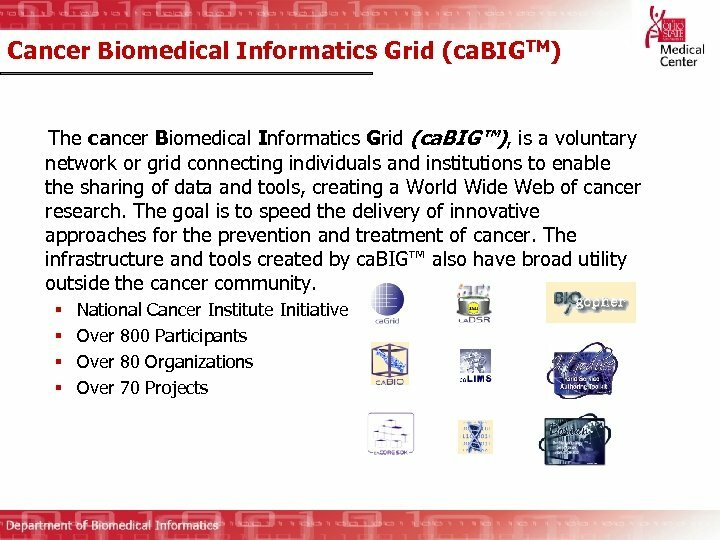 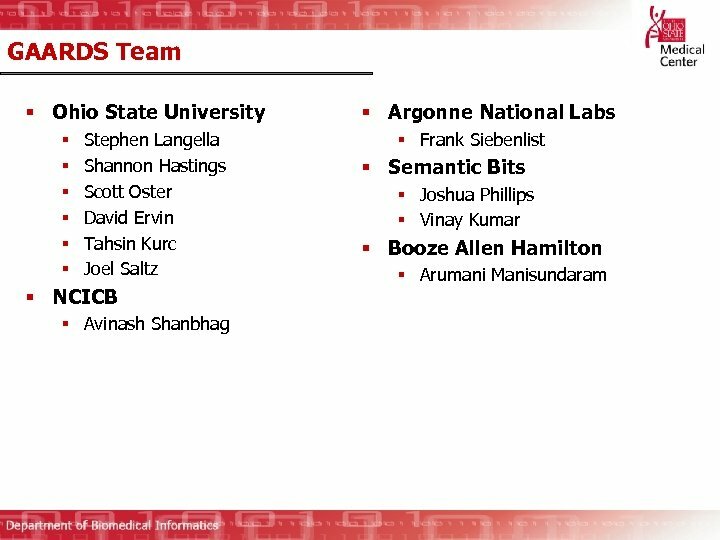 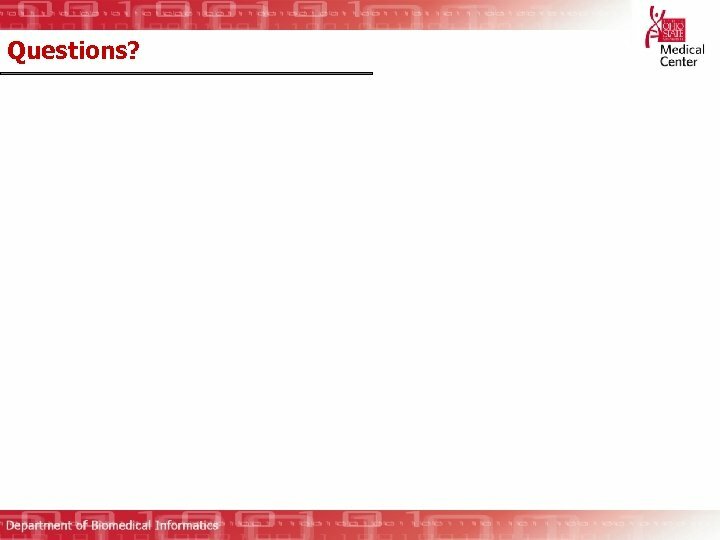 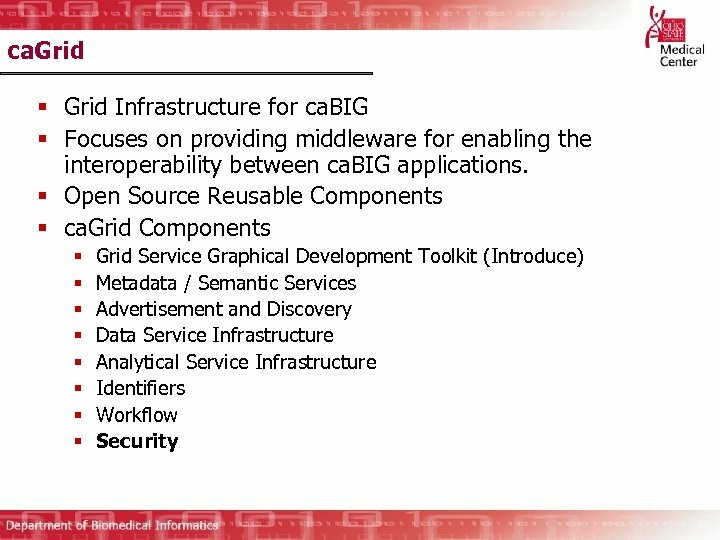 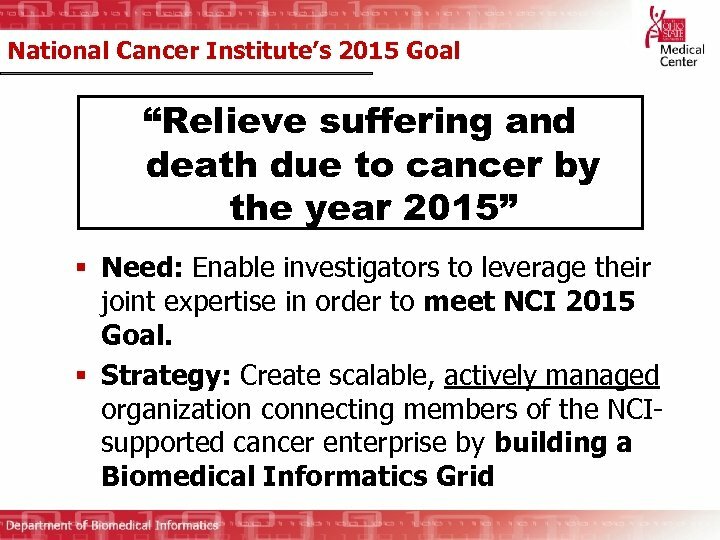 § How can we leverage institution maintained attributes?